Please Read our Camp Brochure: it contains a lot of information for Staff and Campers! 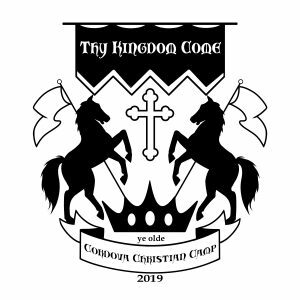 Cordova Christian Camp is for any child (K-6th) from the Rancho Cordova area. At camp we enjoy fun and learning without having to go out of town or stay overnight. Our campus has learning, videos, sports, singing, outdoor snacks and meals, and lots of other fun. We also spend time each day teaching the campers about God and the Bible. We accept the first 180 registered children, give them a camp shirt, two snacks and lunch each day. Our hard-working and caring staff of teenagers and adults is second to none! Cordova Christian Camp is always free but we do accept donations to help defer the cost to our congregation. Each morning when the campers arrive, they check-in, put on their clean camp shirt, put on sunscreen, and head out for free play. At 8:30am the camp program begins with the theme of the day. Each afternoon at 2:45pm, the campers change back into their shirts from home, grab their snack, and are ready to be picked up (no later than 3:30pm). Friday is our water day! Campers may come with a change of clothes to change into after the water fight.